Have you ever tried underwater hockey? Know the basics of underwater hockey and learn how to shoot that puck and make a goal underwater! Tired of the common sports you play at the court like basketball or baseball? Looking for a new sport that will help you stay healthy, remove stress, and improve your socialization skills? If you want to explore new opportunities to play a sport and have fun at the same time, then you should definitely try underwater hockey! Underwater hockey is played in an Olympic-sized pool. It can also be played in a pool at least 25 meters big. 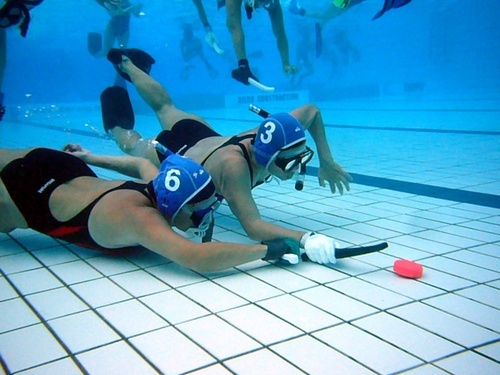 Like street and ice hockey, underwater hockey is played by two teams. The objective of the game for each team is simple – to make as many goals as possible during the game period. The team who makes the more number of goals during the game period wins. Unlike the street and ice hockey, however, the underwater sport need not require the players to be skilled with roller-skating or ice-skating; instead, they should at least know how to swim and move underwater. For each game of underwater hockey, players would play the sport for 30 minutes. Each team is composed of six swimmers each. For every goal made, there is a one-minute break. This short break gives swimmers the chance to swim back to their base. How to Play Underwater Hockey? The game starts with the players swimming with their heads above the water from their home bases. The puck, much like the one used in regular ice hockey, is then placed in the middle of the playing venue by the referee. Upon his or her signal, the players of both teams begin to dive for the puck. With the aid of a stick, they must be able to push the puck towards their opponent’s home base where the goal is located. This is much the same as regular street or ice hockey. What distinguishes it from ice hockey though is that it is done underwater. Also, the stick used in underwater hockey is way too shorter and that the players are not allowed to use more than one hand in holding the stick to push the puck towards the goal. The players should be good swimmers and good breath-holders although they are allowed to go up for air as often as they want. This however, lessens the chance of winning. How Does Chiropractic Work For Headaches? What is Repetitive Stress Injury? 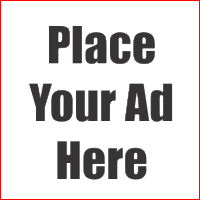 Chiropractic Care Blog by Larry Grant (C) 2019.